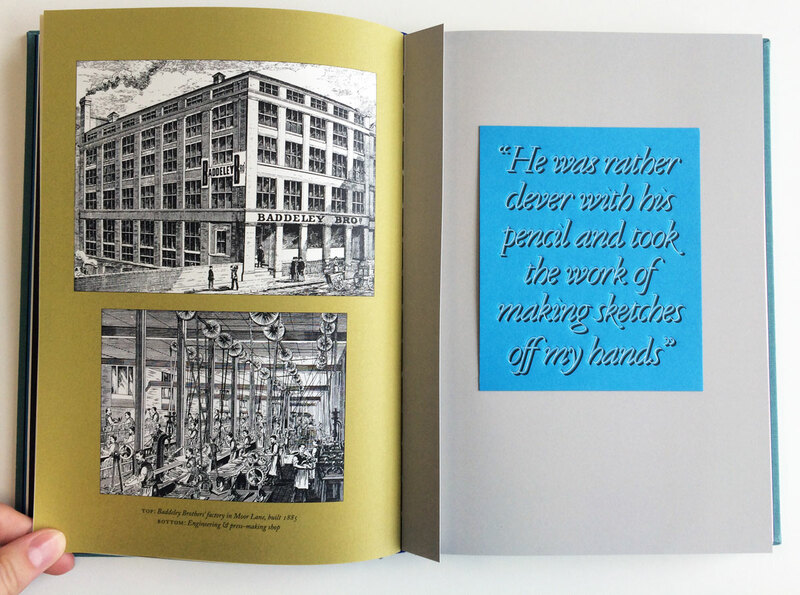 A new book from the Gentle Author and publisher Spitalfields Life documents the history of East London printing company the Baddeley Brothers. 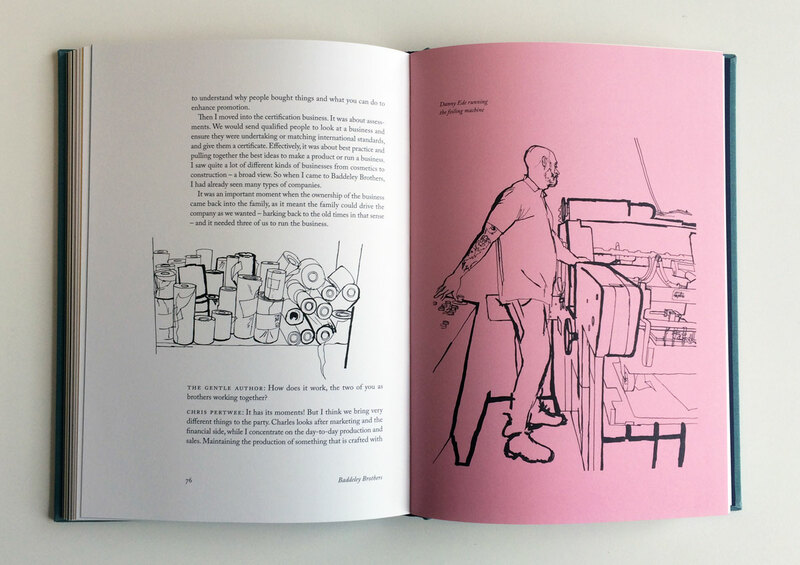 It’s a beautifully presented publication, with typographic tip-ins by David Pearson, hand-drawn artwork by Lucinda Rogers and an illustrated map showing the location of the Baddeley workshops by Adam Dant. 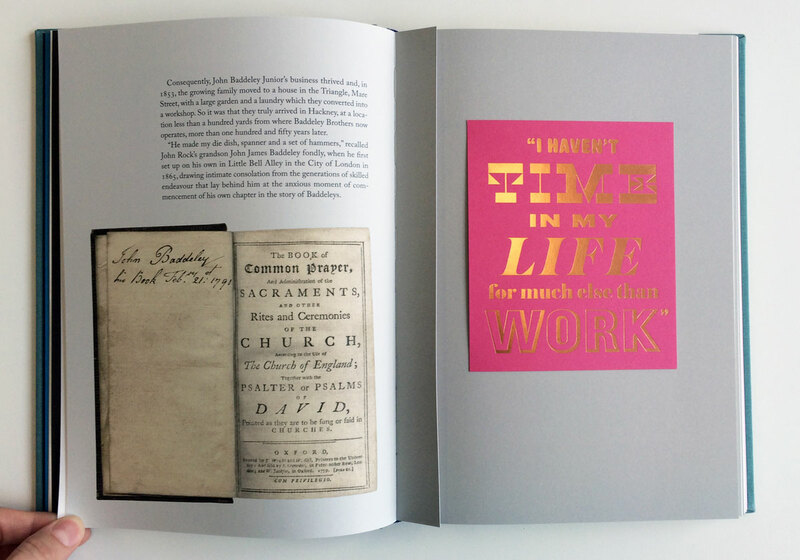 Baddeley Brothers: Specialist Printers and Envelope Makers documents almost 400 years of Baddeley family history starting with John Baddeley, believed to be a clockmaker to George III. 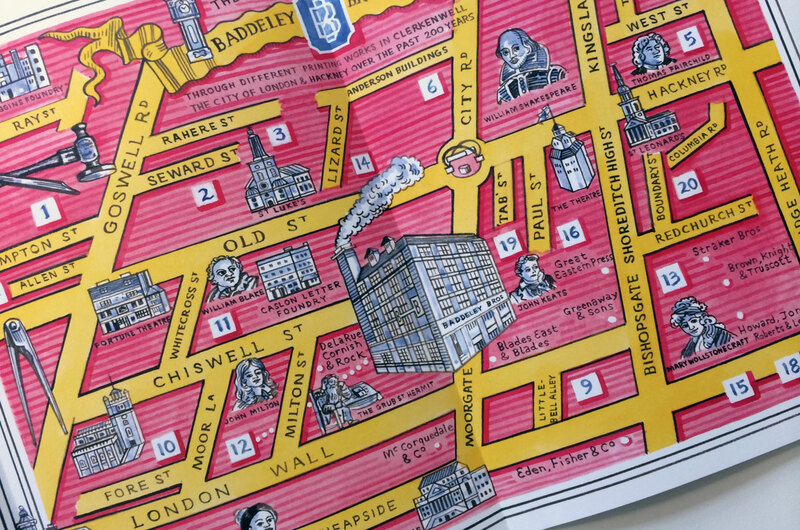 The Baddeley Brothers engraving business was established by John Rock Baddeley in the mid-19th century. 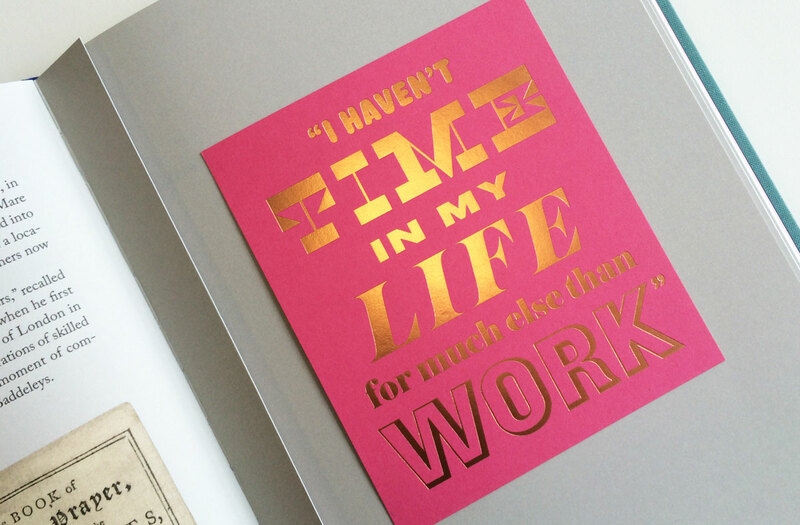 In 1885, the company moved from Hackney to a factory in Moor Lane, where it employed dozens of staff and produced envelopes and debossed and engraved stationery. The factory was destroyed in the Blitz during World War Two but re-opened in Shoreditch in 1946. David and Roger Pertwee joined the business in the 1960s – then managed by their uncle, David Baddeley – and took over as directors when he died in 1981. 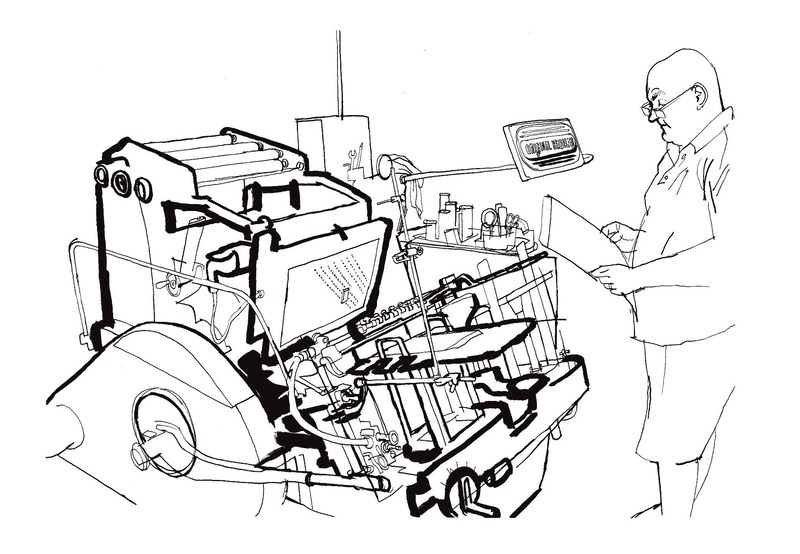 The company went into administration in the 1990s but a local competitor bought up most of its shares, allowing the family to keep the business and move into new premises in Hackney. It is now managed by Roger’s sons Christopher and Charles Pertwee. 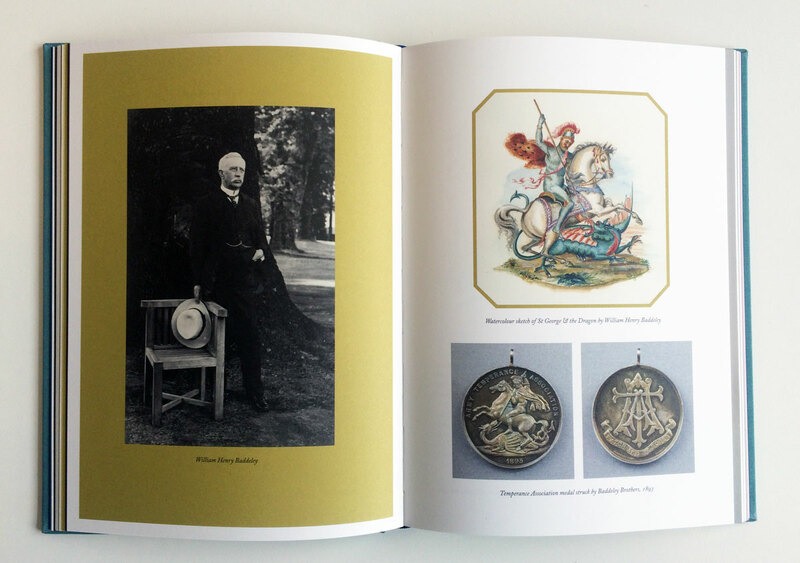 This history is now beautifully presented in the Gentle Author’s new book, which comes packaged in a cloth-bound hardback cover bearing the Baddeley Brothers logo. 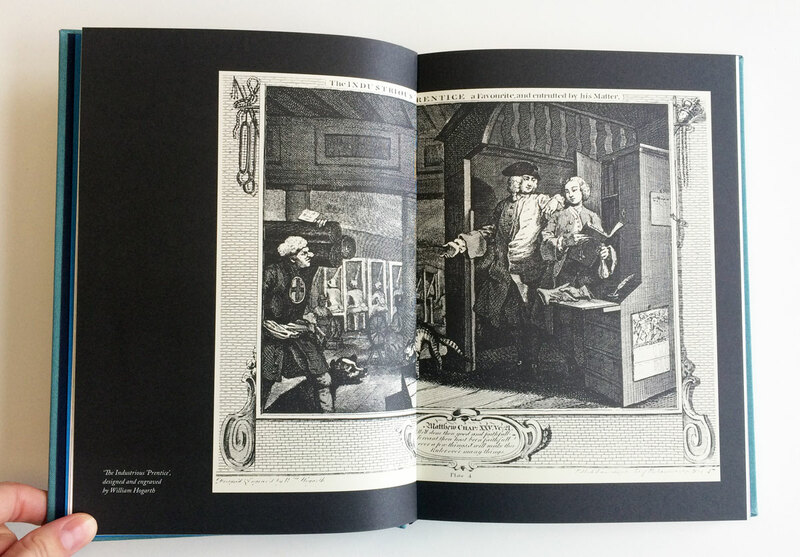 Inside, it features interviews with David and Roger Pertwee, and Christopher and Charles, alongside photographs of the company’s premises, paintings of the local area and early examples of the Baddeley Brothers’ printing and engraving work. 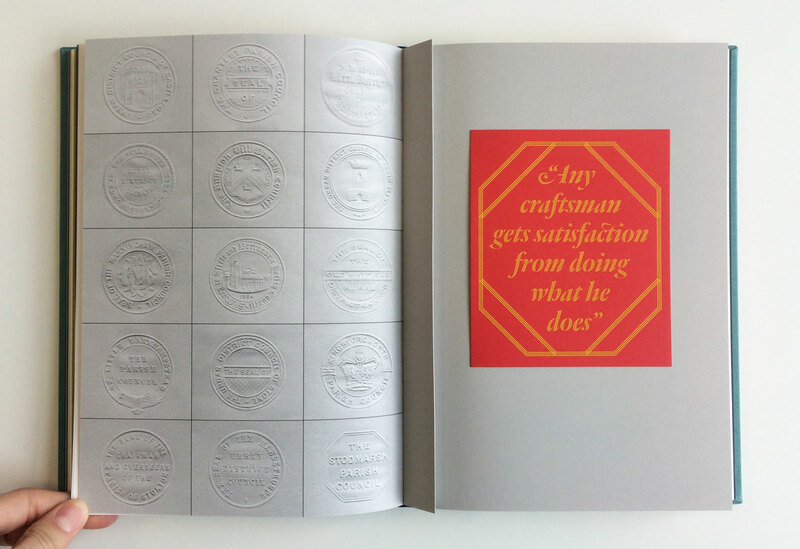 David Pearson, who designed the book, has produced a series of brightly coloured typographic tip-ins which showcase a range of printing techniques practised by the company. 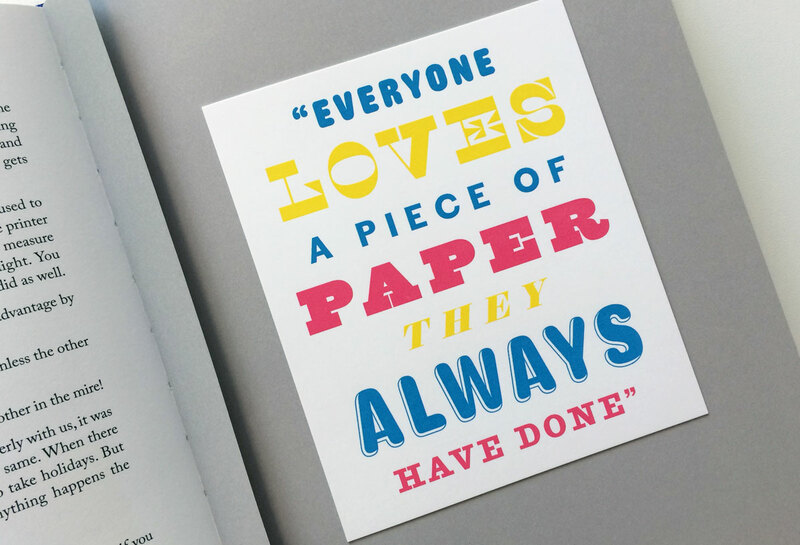 Printed on colourful card, they pay homage to the family’s love of craft, the joy of printing and even “the acrid whiff of cyanide” in the print shop. 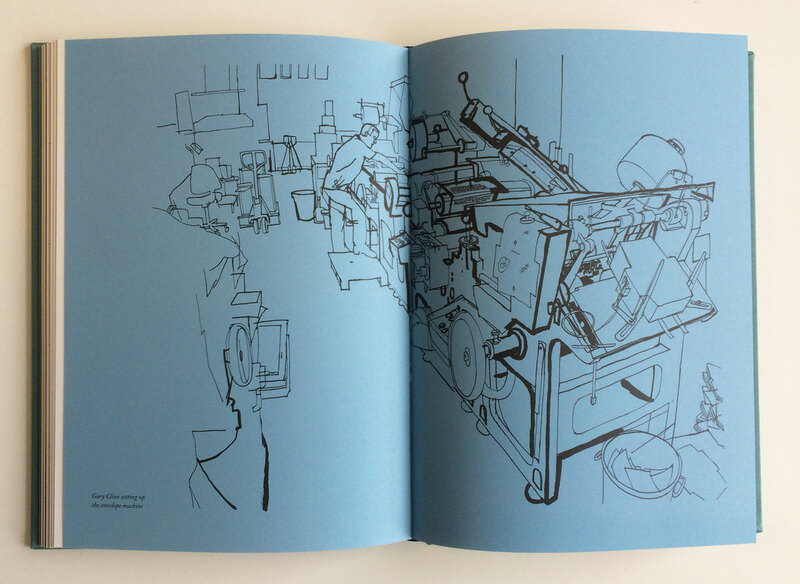 Lucinda Rogers, meanwhile, has produced a series of illustrations documenting Baddeley Brothers staff hand making envelopes, foiling and using the company’s Heidelberg press. 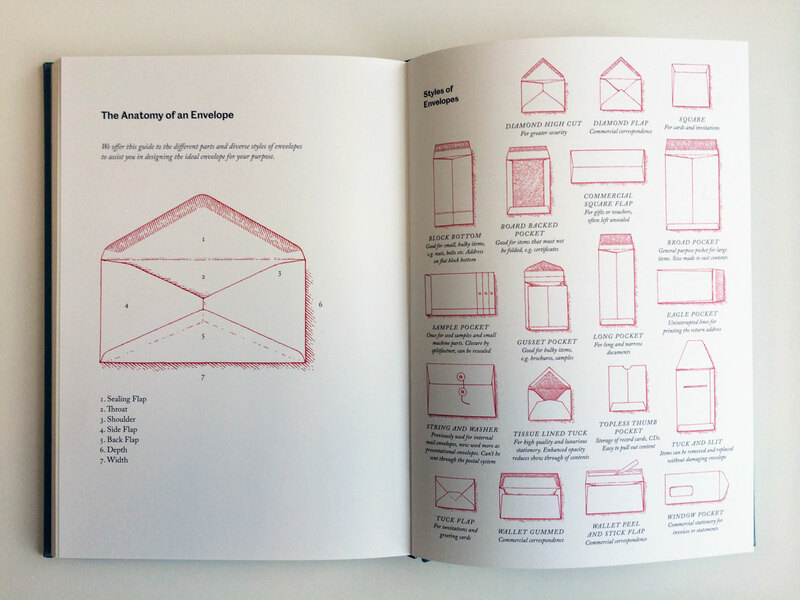 There’s also a range of illustrations from the company’s archives, a guide to the anatomy of an envelope and a glossary of paper and printing terminology – as well as a family tree and an illustrated map documenting the company’s various locations over the years. 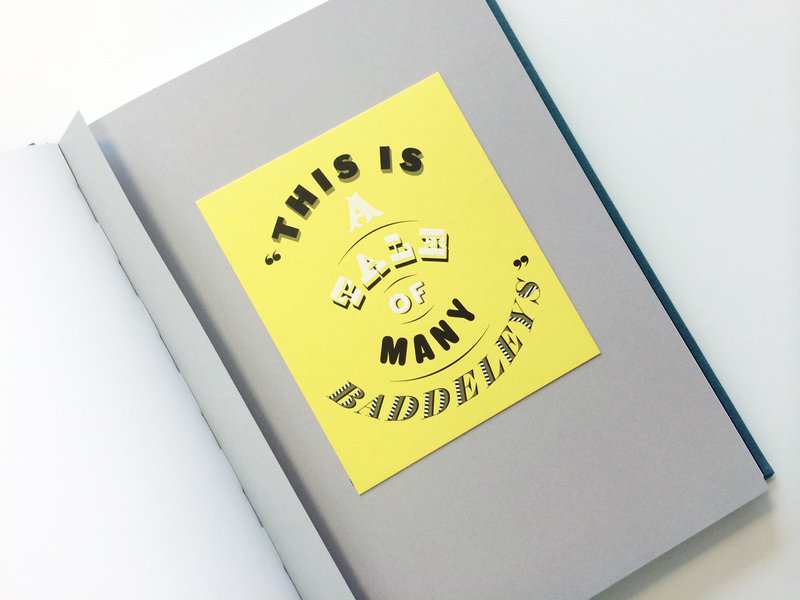 It’s a lovely homage to a long-running family business and a real celebration of paper and print, as well as the skill and craft involved in the Baddeley Brothers’ work. 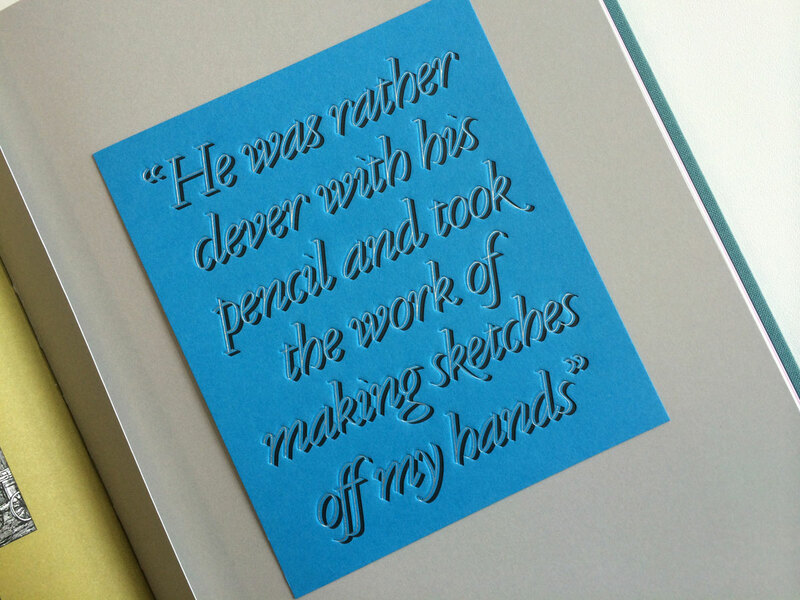 Pearson and Rogers’ artwork adds a contemporary touch, while the range of finishes and techniques makes for a tactile – and richly detailed – read. 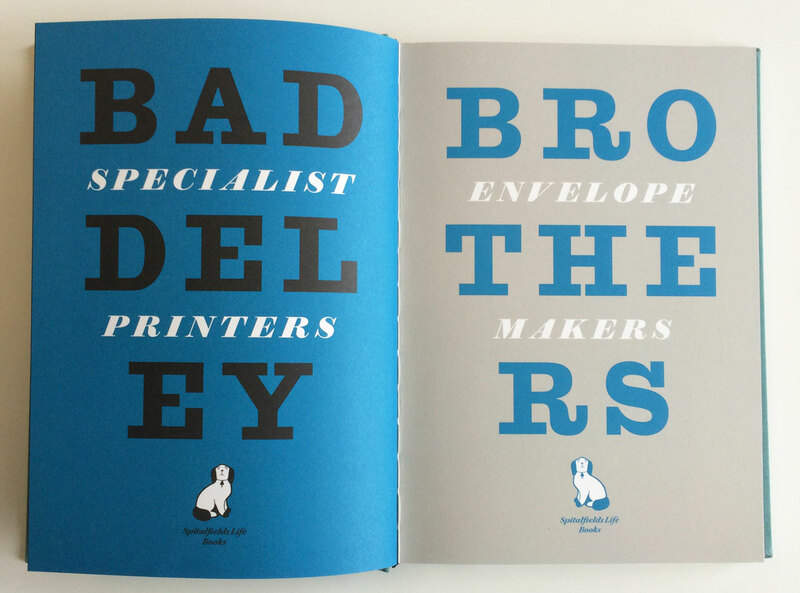 Baddeley Brothers: Specialist Printers and Envelope Makers is published by Spitalfields Life Books and costs £35. You can order copies here.